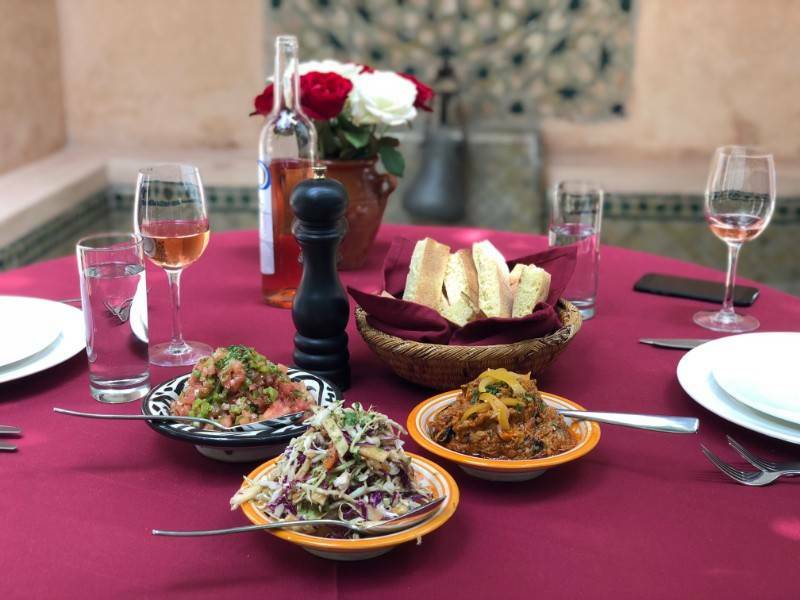 Our last day in Morocco was as delicious as it was fun! We spent it with Saffron, Turmeric, Cinnamon and Paprika! 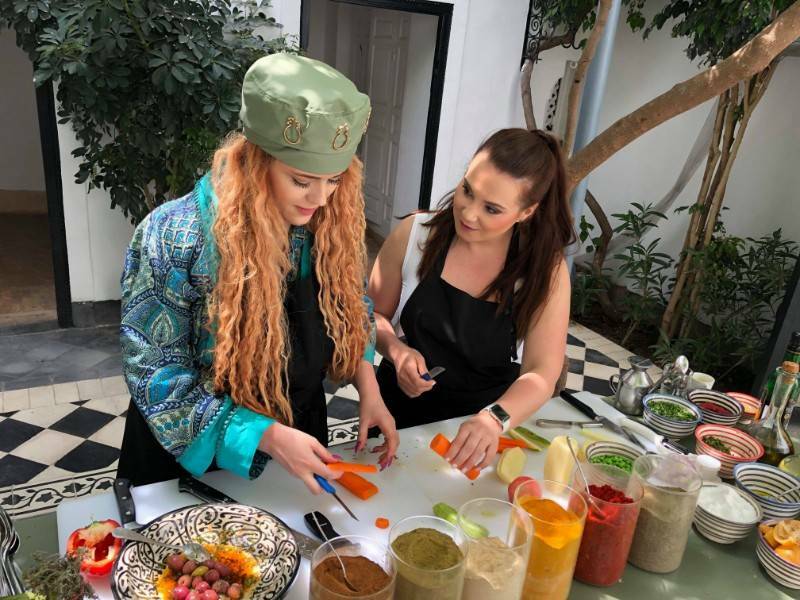 Being both great foodies and enjoying cooking whenever we get the chance and make the time, my friend Odett and I decided to also bring back home with us some Moroccan cuisine secrets and skills. First thing first: What to wear?! I had 1 hour to pack my bags before leaving Romania. I didn't even get the chance to try on the clothes from the new collections or properly think out every outfit combination, like I usually do. Was I upset? Yes. I probably had a pout on for about an hour. Was it the end of the world? Let's not be drama queens. Did I use for the first time in my life a pretty, yet unworn, pijama as street clothes? Yes. 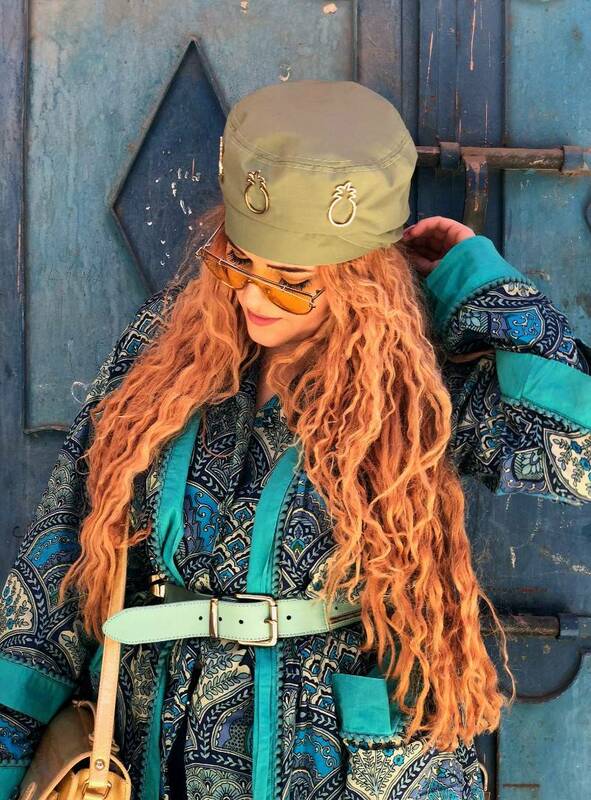 That being said, I styled the pijama blouse and robe with a cool belt, a pair of jeans, some Adidas Superstars, a Paul's Boutique bag and, piece de resistance, a NITA SAO turban, from the upcoming collection: Let's Flamingle! I am in love with all 8 designs and I can't wait to show them to you all as well! We made our way to the famous central Jemaa el-Fnaa and met the man that was going to show us the way to the riad where our cooking class was taking place. It was indeed well hidden amongst all the little alleys that area has. 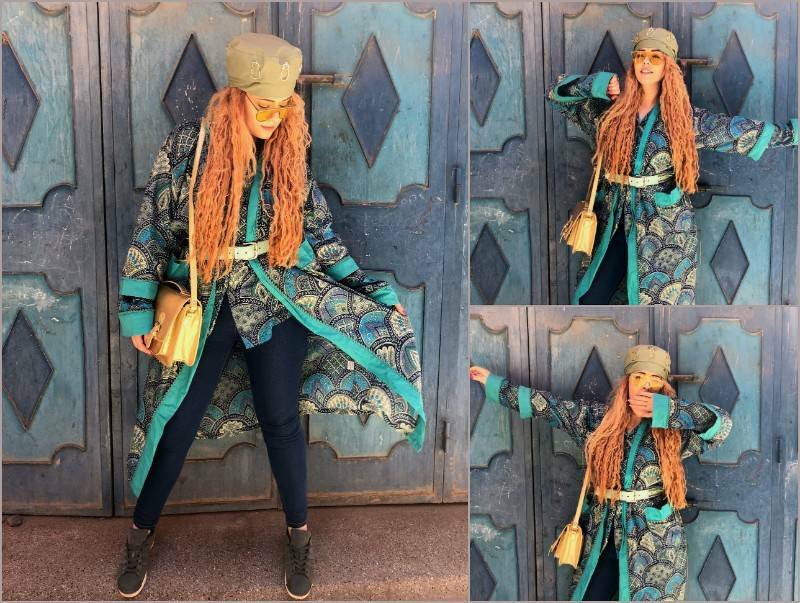 Khadija, one of the most bubbly and adorable people I've met in Morocco, gave us a tour of the beautiful location, Riyad El Cadi, and introduced us to Chef Hassan. The class took place in the garden, underneath argan trees, on a beautiful sunny day. Plus, we had the very pleasant surprise to find out we were the only ones attending that day. Private class, woop woop! We dove right in and started preparing an assortment of Moroccan salads. Cabbage with apricots and cinnamon? Somehow, they work together. And weirdly, it was my favourite salad out of all four. Chop, chop, chop aaaand done! It was time to find out the secrets behind a truly moroccan chicken tagine! Actually, before that, let me add a couple more apricots to that gorgeous salad! Back to the main course! If you want the secrets to a tasty Berber Tagine with vegetable Facon Tariq, let me know. Or better yet, buy yourself a ticket and learn from the best. Chef Hassan was incredibly friendly and gave us more tips and tricks than we could ask for.